After building your SMS Website, No business can thrive without customers. And without proactive marketing, your business won’t attract customers. So, the only way to keep your bulk SMS reselling business alive is to attract customers using various marketing strategies. In this post, we’ll be discussing some proven strategies for marketing your bulk SMS reselling business in order to attract quality clients. 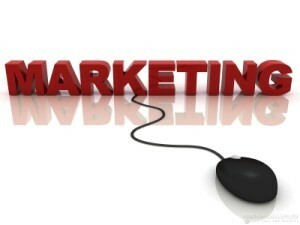 Before I go into that, I want you to keep in mind that some marketing strategies may require you to spend some money. But this financial input is worth it, considering the results you’d get in the end. Each time you find potential clients (individuals or organisations), get their mobile numbers and send them customised text messages advertising your products and services. You must be able to pass a complete and persuasive message with few words (remember, you have just 160 characters to play with). Most of the time people read text messages, especially when they’re from strange senders. So, there are bright chances that your message would be read. Social media is one of the best ways to reach potential customers. Millions of Nigerians are on Facebook, Twitter, and other major social media networks. So, you can really attract many customers through these sites. First, create a Facebook page and Twitter profile for your bulk SMS reselling business. Then start building a followership gradually – invite friends to join your page, post interesting pieces, share comedy, post puzzles and offer a gift to winners, advertise your business and respond promptly to questions. Actively participating in Nigerian forums – such as Nairaland and Nigerian Best Forum – is another very effective marketing strategy. The wisdom behind sharing helpful information is to build trust and establish yourself as an expert in your line of business. The truth is, when you offer valuable and helpful information about bulk SMS, they’ll consider you as the go-to person when they need bulk SMS units. Tell everyone you meet about your bulk SMS business. Chances are, they’ll also help you inform others about it. So, don’t feel shy and don’t underestimate the power of this simple strategy – which costs you nothing, really. In order to boost your chances of attracting quality customers, adopt all these strategies without leaving out any. Though not all of them may work, trying all of them would reveal to you which strategy is working and which isn’t. In the next post, I’ll be revealing 4 more marketing strategies you can adopt. Stay glued until next week. I am really impressed with all of these details because SMS marketing is something that is needed by every business whether it is a small or a bigger one. I am already using the heymarket real estate text marketing app for my own business but did not think about reselling the sms service. It can be a good business idea for my wife. pyramidSMS.com 2013. Simple theme. Powered by Blogger.